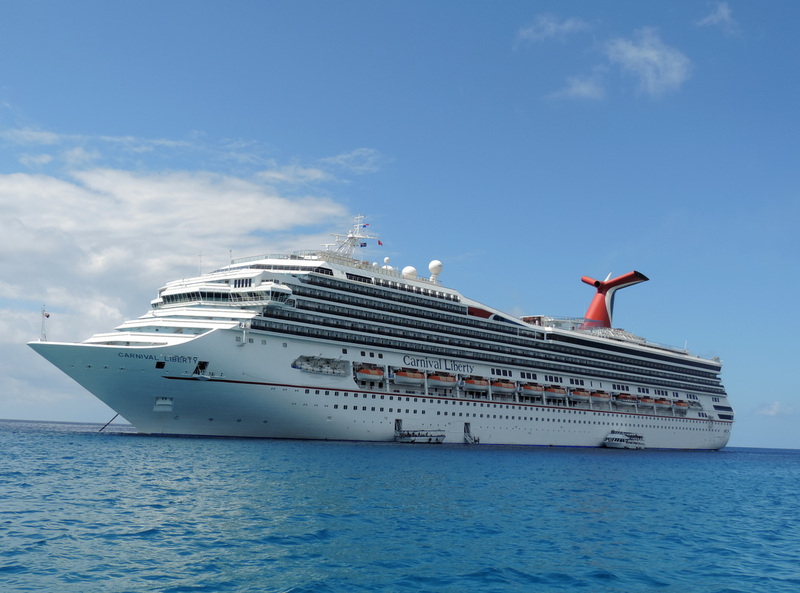 Carnival Freedom at Grand Cayman. 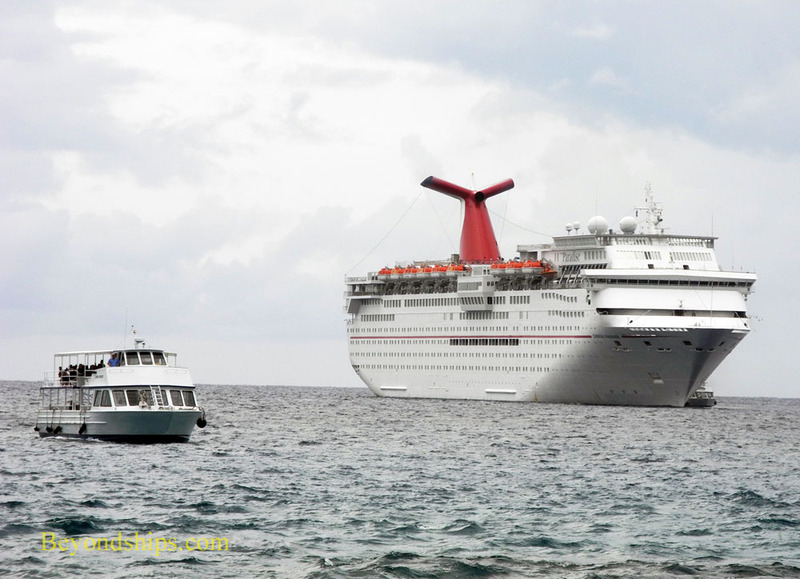 Grand Cayman is a very popular port and is visited by many cruise ships. Moreover, because it is a tender port, the views of the ships are generally unobstructed. 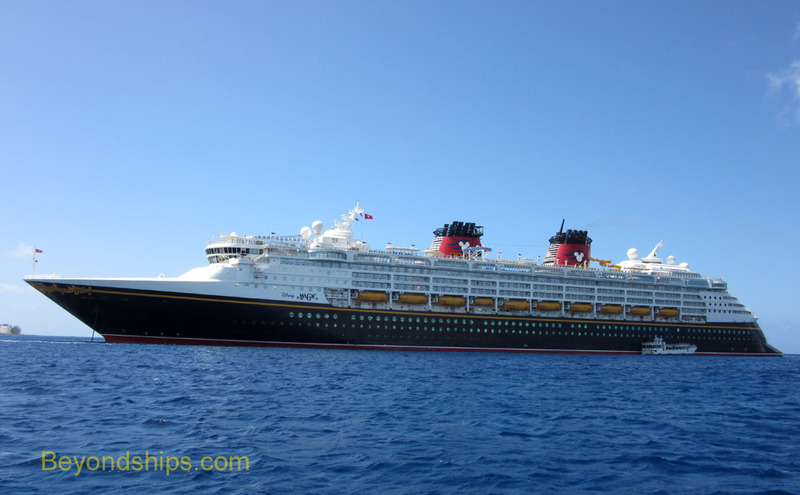 Thus, it is a great place to observe and photograph cruise ships. 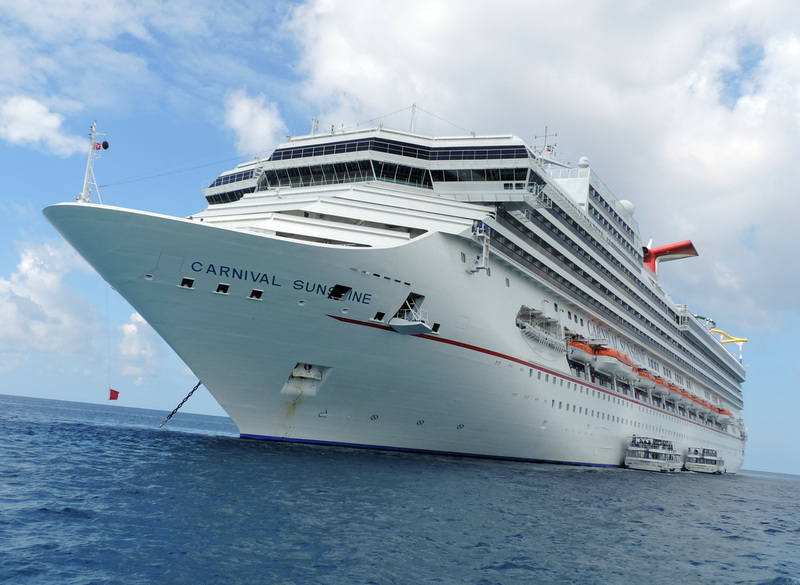 On this page, we present some of the ships we have encountered in Grand Cayman. Right: Serenade of the Seas. 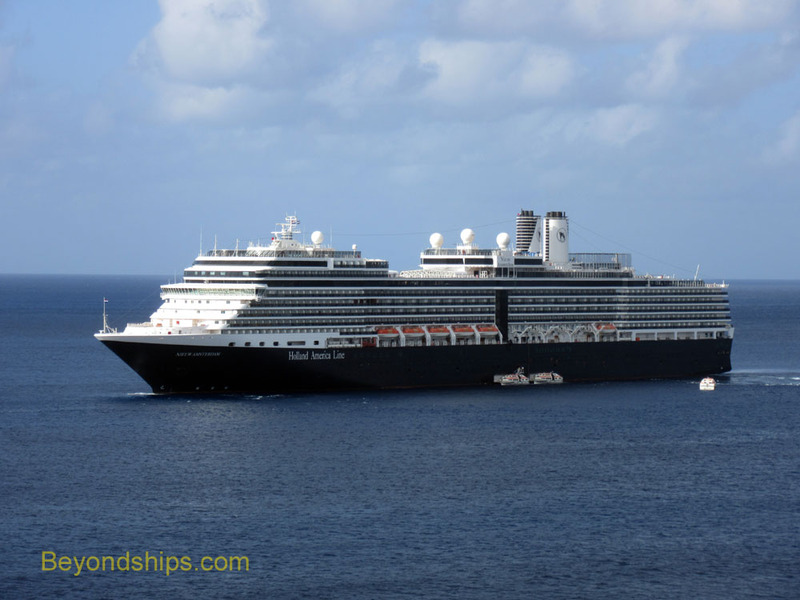 Sister ships - - Nieuw Amsterdam (left) and Eurodam (below). 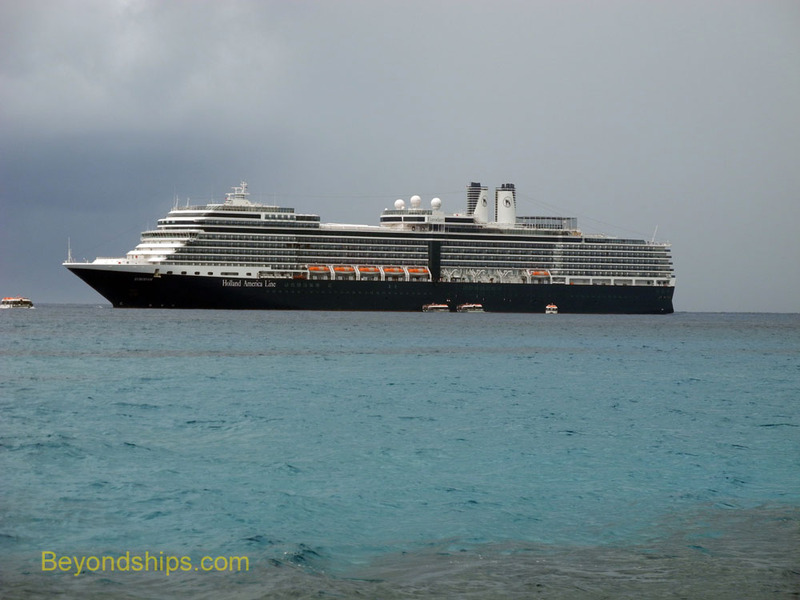 A cousin to the two Holland America Signature class sisters above - - Cunard Line's Queen Elizabeth. 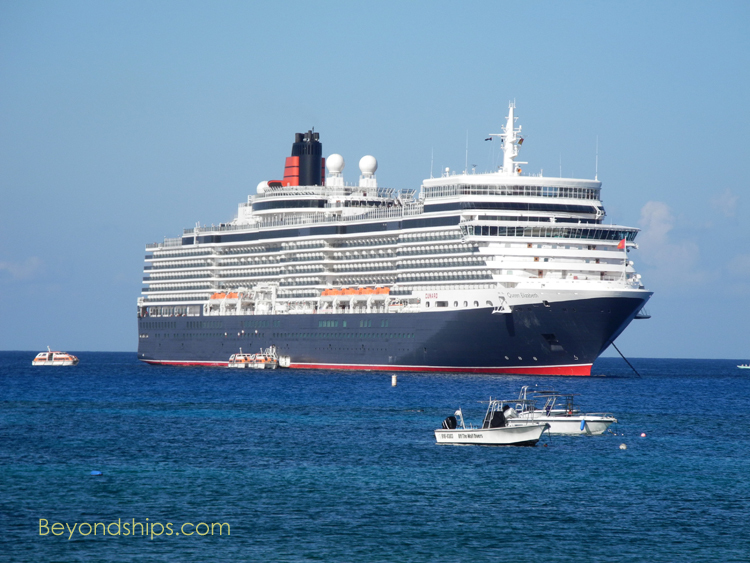 Above: It seems like if you wait long enough, you'll eventually see every cruise ship in Grand Cayman - - Oasis of the Seas, which does not usually call at tender ports, is seen here stopping at Grand Cayman to do a medical evacuation. 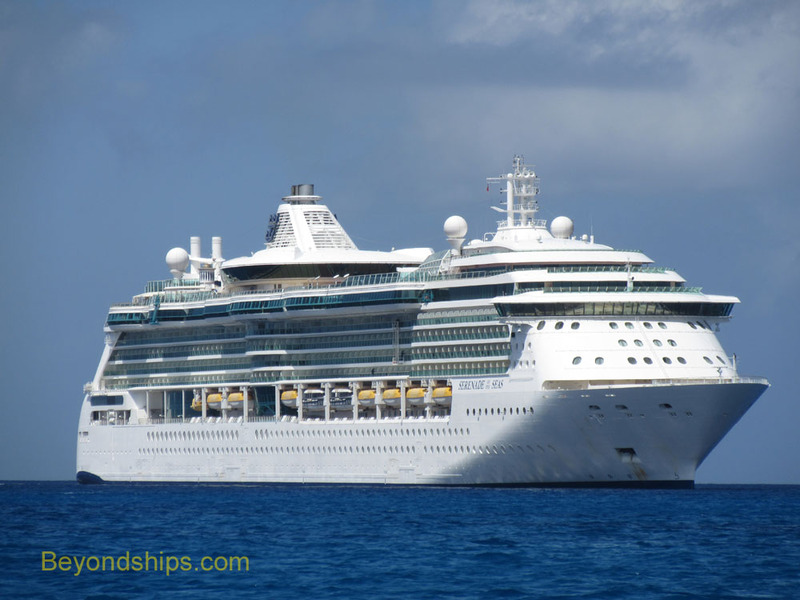 Royal Caribbean fleetmate Freedom of the Seas (right) is a much more familiar sight in Grand Cayman. Crown Princess (above left) and Oceana (above right). Their connection is Princess Cruises. 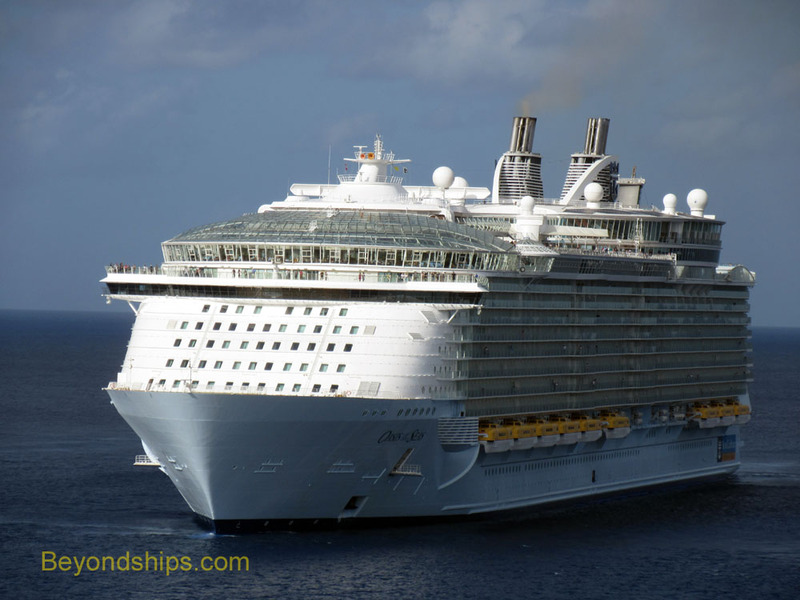 Before joining P&O Cruises, Oceana sailed for Princess Cruises. 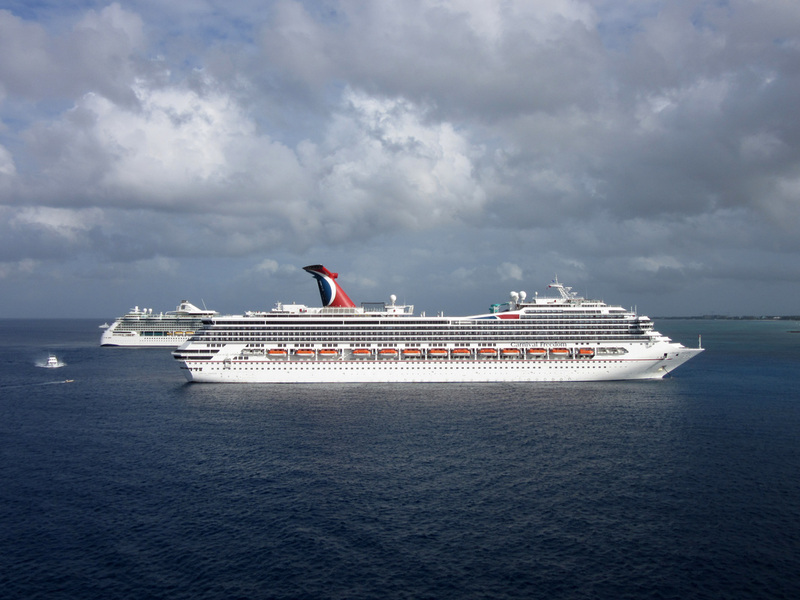 Below: Carnival Liberty (left) and sister ship Carnival Valor with Celebrity Century (right).